Nowadays, developing countries like India are facing critical housing shortages and labour shortage is also rising. Due to rising construction costs and an increased importance on quality and timely delivery, so many developers are selecting innovative construction techniques like precast concrete structures, which can speed up construction in lesser time. Precast concrete is a form of concrete which is prepared either in a factory or in a workshop or site and cast and cured off-site. Generally, precast concrete is prepared in a controlled factory environment using reusable molds. Precast concrete elements can be easily connected with other precast concrete elements to form a complete structure. Precast concrete is used for various structural components, like wall panels, beams, columns, floors, staircases, pipes, tunnels and so on. Precast concrete is cast under factory-controlled conditions. After the cast of elements, it is not erected on site until it is fully hardened. Precast concrete can be plain, reinforced or can be even pre-stressed concrete. Precast concrete components are produced under plants or factories. Such organised and certified plants produce precast concrete under strict rules and regulations with fully factory-controlled conditions to ensure the highest quality and strength in the desired shapes, colors and textures. The inspections focus on the process on the unit’s production and general operation. The Certification pays to owners and architects because it causes less worries about on-site discovery of units which are out of tolerance, Missing connection details that are incorrectly cast or mismatched finishes from panel to panel. It also reduces the need for continuous onsite inspections. In short it overcome all limitation of cast in situ concrete. Precast concrete provides unlimited possibilities to the designer as it is done in a factory. It is incredibly responsive to the designer’s needs, as it can be shaped in a cost-effective manner. In Precast concrete design flexibility is possible both in colour and texture. It can vary in types of aggregate, size of aggregates, matrix colours, depth of exposure and finishing processes. Precast concrete is highly resistant concrete. As it is produced with low water/cement ratio combined with good compaction and curing in a controlled factory environment it ensures a dense and highly durable concrete. Precast concrete resist impact load, corrosion, weathering, abrasion and other ravages of time. It reduces maintenance and operating costs. Precast concrete has fire resistant capability. It creates safe construction that helps to protect peoples against fire. It also protects equipment and the building itself. It may also be helpful in reducing property insurance premiums. Precast concrete store energy and strength during a change in temperature on heating and cooling systems. 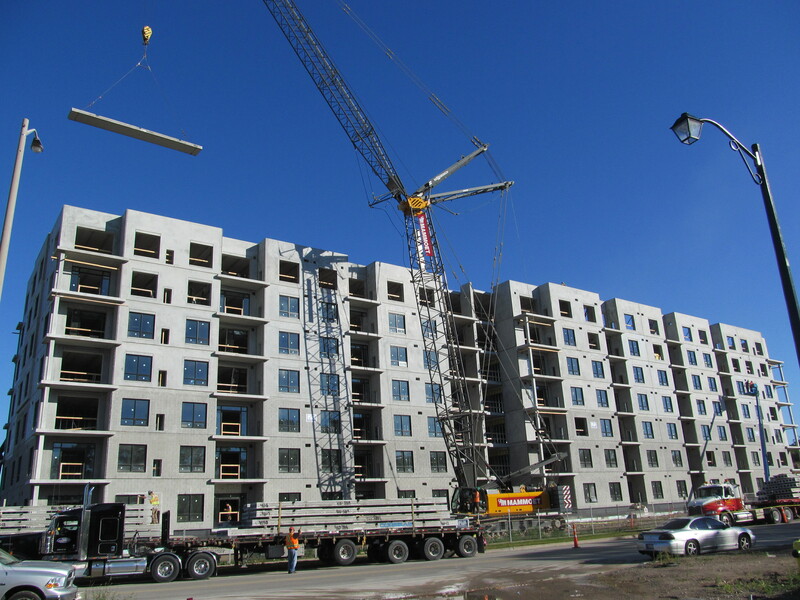 Precast concrete saves a considerable amount of energy over the long term and can result in significant cost savings. Precast concrete is very fast and easy. Precast concrete construction will save valuable time and helps to reduce the risk of project delay and possible monetary losses. Precast design and production of elements can be started while the construction site is under survey or earthworks. Production are also unaffected by weather conditions due to the controlled environment of the casting area. Also, the usage of large precast panels will reduce the time taken to complete the structural works. Therefore, other trades such as painting and electrical wiring can begin work sooner. In conventional construction method, time-consuming works such as formworks, scaffoldings and curing are needed to produce a structural element. In precast concrete construction method, structural elements are produced in manufacturing plants while other activities at the construction site proceed. When the structural elements are needed, they are immediately sent to the site erected and assembled continuously, forming the structural frame and enclosing the building. In precast concrete manufacturing plants, modern machineries are utilized with several technicians attending to set of production processes. This greatly reduce the number of unskilled requirements. Precast concrete is used where the structural stability has to be maintained for long periods. 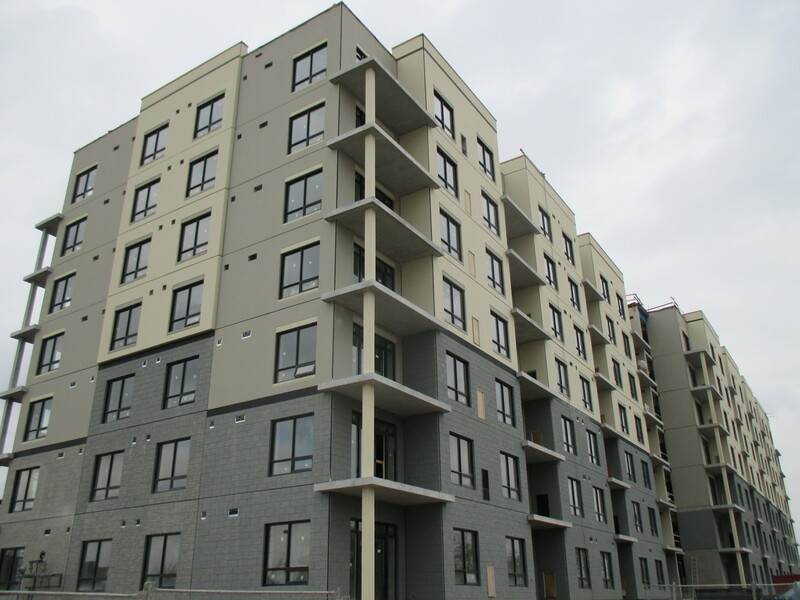 Precast manufacturers can offer guidance on designing for durability. An area to reinforcement is placed in a more controlled way. It increases the life of the building. Precast concrete combines the excellent quality of factory production with a relatively inexpensive material. The costs to repair and maintain concrete structures are highly limited. There is, therefore, no need to compromise on quality to reduce costs, simply choose the best way to use locally available resources. As the formwork can be repetitively used for more number of times being in controlled conditions, it saves cost, too. Precast concrete allows a wide choice of surface finishing. Like different colour range and special shapes. Precast concrete is sufficiently strong to resist impacts, blasts and natural hazardous like earthquakes, tornadoes and floods. Advanced technologies used in the pre-casting plants create an improved quality product (i.e. reduced tolerances, thinner sections, engineered solutions) compared with cast-on-site concrete. Sustainable means a “3-win” situation for the three Pillars of our society: People, Profit and the Planet. If only one of these elements is “negative”, the solution can’t be considered sustainable! Precast concrete members are very heavy in weight so difficult to lift and handle. Hence erection and handling cost are more. Precast concrete element requires perfect connection between two elements or members. The behavior of connections determines the performance of precast concrete structures as a hole. 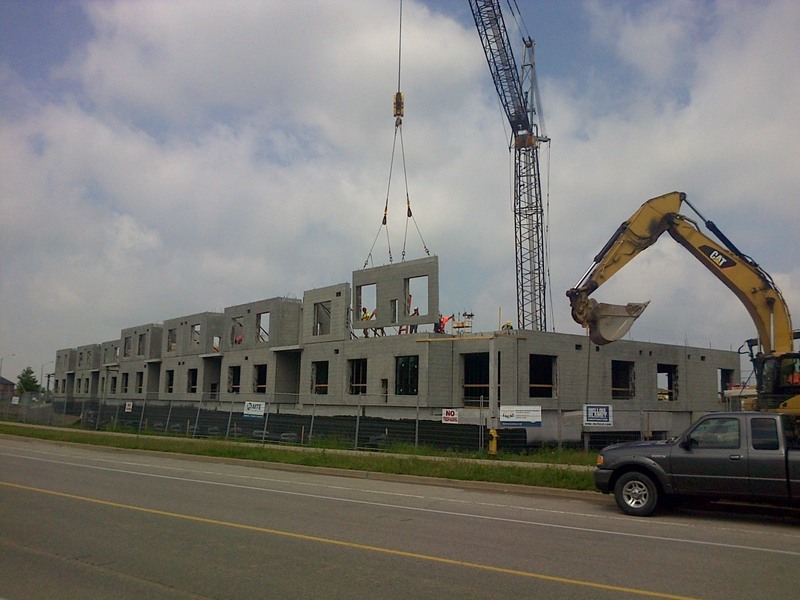 When assembling of precast concrete structures, connections between precast components must be supervised and done properly. This way, the intended behavior of a connection (simple, semi-rigid, or rigid) can be achieved. Apart from that, a good sound insulation can be provided and water leakage problem can be avoided. Skilled and well-trained labors are required to ensure that proper connections are produced during erection stages, which lead to additional cost. Precast concrete elements or members are difficult to connect with each other because of heavy weight and huge size of members. Workers must be careful when handling precast concrete components to avoid damage. Precast components are manufactured in plants, which are not always situated in the area of the construction sites. Precast components must be carried from the plants to the sites using trailers. Usually, precast components are large and heavy, creating difficulties in transportation. 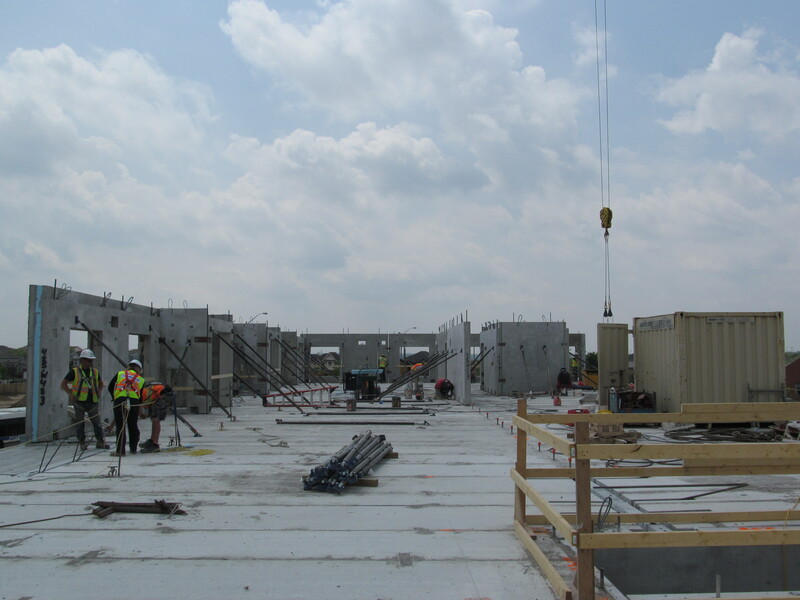 Upon arrival at the sites, portable cranes or tower cranes will lift the precast components up to place for erection. Usually, to increase the speed of construction, several cranes are used requiring large space. Proper construction planning and site management are therefore must. 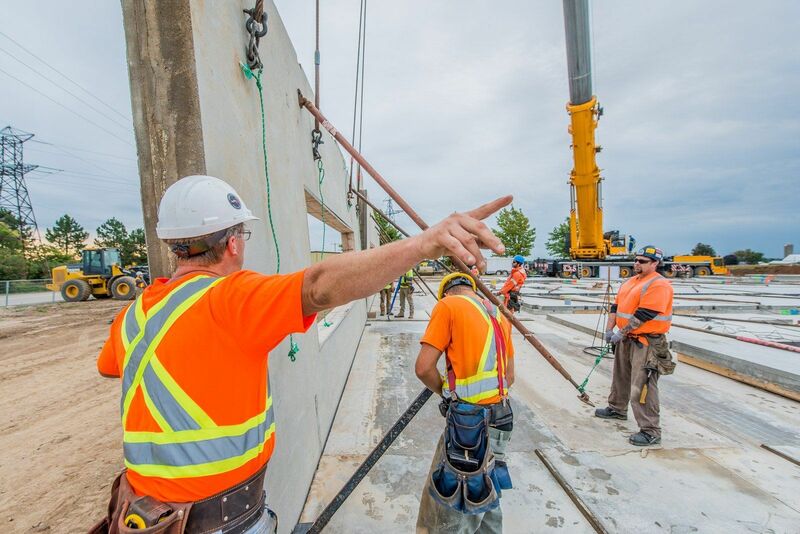 Workers are well trained to ensure that precast components are positioned and connected properly to avoid cases where the columns, beams, walls, or slabs are not well aligned, dislocated or out of a plane. 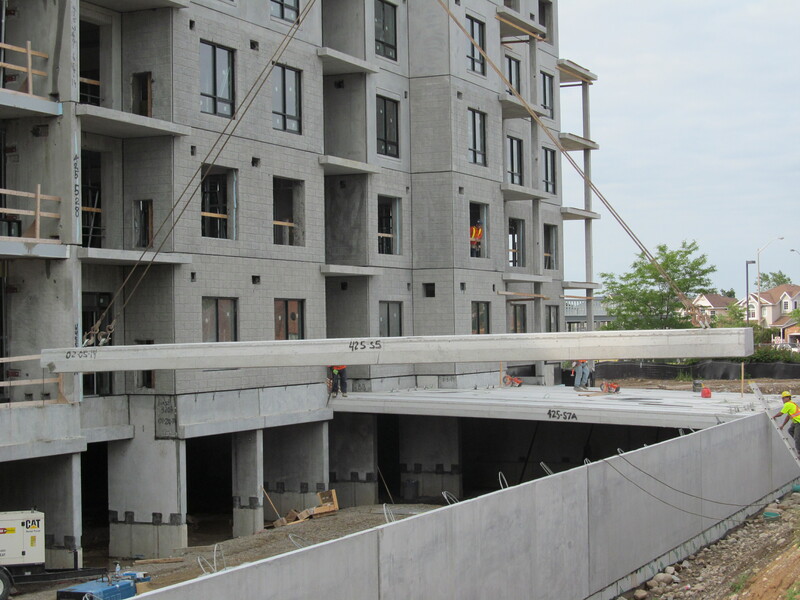 the precast concrete system is not flexible when a future modification is taken into account. For example, the walls of a flat built using load bearing precast walls cannot be demolished for renovation purposes, as this will affect the stability of the entire precast structure. Through precast erection like beam, wall and column etc. are designed as the part of building under which they will be subjected to certain loads. However thus may not be adequate from erection and handling point of view. e.g. if you lifting long beam from only point in the centre, both the parts will become as cantilever beam and they may crack during handling if such steel for cantilever action is not provided. Similarly, if it is hooked of at two or three places, it has to be designed accordingly. Thus, may result in some extra need of steel, thereby increasingly the cost. For precast concrete construction, require a very good number of engineers and skilled labours.